What is IoT or the 'Internet of Things' ? The Internet of things or IoT is a recent term that describes a whole eco-system that can incorporate many different technologies, networks and devices. IoT systems & technology are being developed to fill the need for more remote devices to be connected to each other more efficiently - and at a much lower cost than was previously possible. While some applications may still use GPRS (cellular) or satellite networks to connect to devices, new networks such as SIGFOX and LoRaWAN have been developed, and are now 'live' in many countries. Additionally, cellular operators are currently testing 'NB-IoT' which is a narrowband version of mobile technology, which fits into the '5G' range of applications. These 'IoT' networks use low-power radio which is more efficient at sending small packets of data, typically received from tracking devices or remote sensors. A benefit of the 'low power' is significantly longer battery life for the transmitting device. Applications cover markets such as healthcare, utilities, security, manufacturing & remote monitoring. IoT networks are ideal for asset monitoring, where location updates are only required a few times per day. 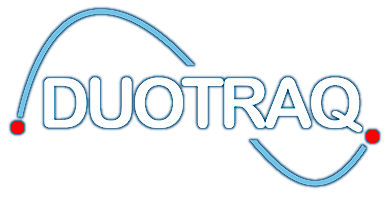 Duotraq has a Sigfox data service integrated with our tracking software, so we are able to offer a simple 'plug & play' setup to monitor your assets, with all the advantages of multiple Geofence zone creation & multi-user operation.